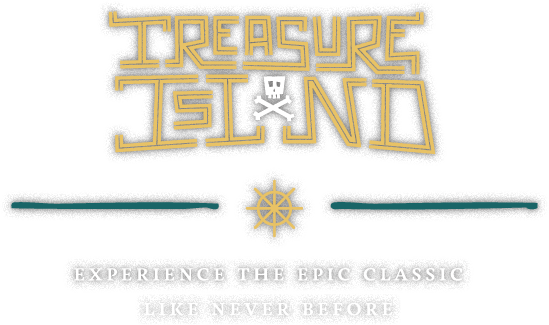 Experience Robert Louis Stevenson’s classic swashbuckling adventure like never before. to a new tune as you encounter Long John Silver and uncover the clues to the elusive X that marks the spot. 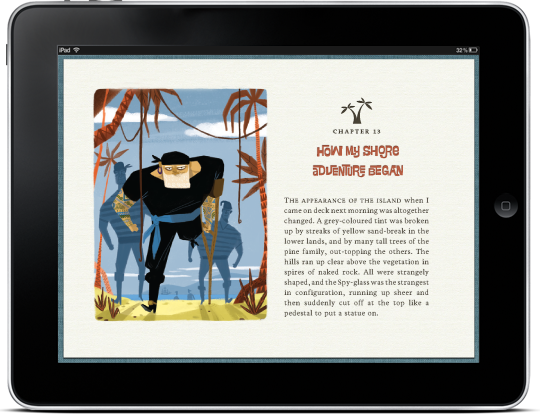 images, audio, and animation as part of an enhanced reading experience. Matthew is an internationally acclaimed illustrator who has worked for such clients as Disney, Wired magazine, Hasbro, and Nobrow publishing. Award winning Designer. Internationally published Illustrator. Husband & Father. Tom is an illustration and interactive professor at the Academy of Art University and has produced work for such clients as Hewlett Packard, Safeway, and several Bay Area restaurants. Catherine is an editor and writer living in San Francisco, who is currently serving as editor in chief for Art Practical. Denny is an American actor best known for providing the voice of Murray in the Monkey Island series, as well as a range of voices in other LucasArts games. Swell turns out cutting-edge tracks for an impressive client list (AT&T, Ubisoft, Pepsi, MTV, BET) on nationwide spots and on music videos for artists such as Beyonce, Common, and Ludacris. Harlan is a classically trained composer who incorporates a decidedly whimsical modern twist by working with multiple instruments, such as the harpsichord, standup bass, and concertina. He is also part of the acclaimed indie classical band Toy-Box Trio. Art & Logic, Inc. has developed custom software for over 500 clients since 1991.